Roseau, Dominica – December 30th, 2013 – Representatives of top level corporate organizations and business enterprises were recently exposed to new and emerging telecommunication technologies while receiving free advice on how these technologies and LIME can help improve their business efficiency. The business leaders and representatives were at the time attending a corporate power breakfast at the Fort Young hotel, hosted by Dominica's leading telecommunications provider, LIME Dominica. 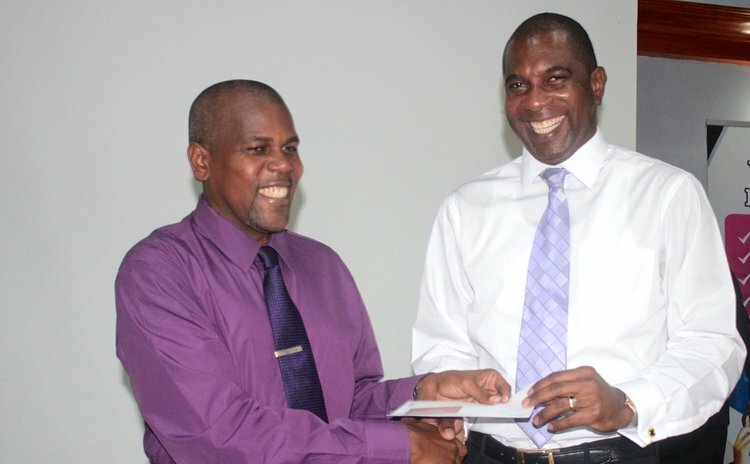 LIME's General Manager Jeffrey Baptiste used the forum to thank the many corporate customers for continuing to display confidence in LIME in spite of the competitive telecoms environment in which the company operates. He said as the telecoms industry evolves, LIME is positioning itself to provide innovative alternative business solutions that are "fit for purpose" to assist businesses in achieving incremental growth. Head of Corporate Sales & Retail Raymond Cole led the discussion focusing on LIME's full value propositions placing emphasis on voice, data & mobile. He highlighted LIME's world class network which, according to him, is designed to provide optimum up-time, capacity and resilience especially in times of national disasters and major events. Mr. Cole made an in-depth presentation on the full line of products and services available from LIME and the important role which they can play in advancing local businesses. LIME also brought in two experts in their respective fields to address the corporate breakfast and assist those present in making the best choices to encourage efficiency at the respective business. Territory Manager - Hurval Wray from Avaya spoke on PBX (the IP Office 500) & Video Conferencing. LIME Corporate Mobile Solutions expert Jonathan Sylvester focused on a new mobile device management software which is poised to change the way businesses operate in the future.